ALLAN MACDONALD's paintings of the Scottish landscape are increasingly sought after. 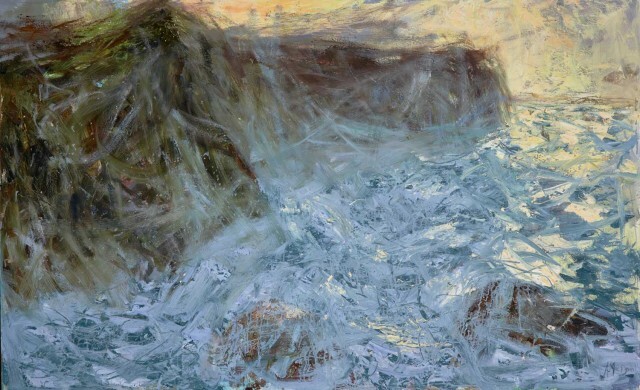 Works in this August's exhibition - Rock of Ages - are inspired by trips to the wildest coasts MACDONALD could find; round the Shetland Isles and the north coast of Scotland and it includes some of his largest most effulgent seascapes yet. To MACDONALD there is always more. These paintings not only capture the energy of the sea. There is also shadow and light, sky and the sheltering strength of the land.